"It isn't every week that one has the opportunity to critique a film like Napoléon. Not every month, either... nor, alas, every year." François Truffaut wrote this in 1955 while he was still a critic and not yet a filmmaker. It was translated by Leonard Mayhew and republished in the anthology The Films In My Life in 1975. (I've taken the liberty of reverting to Truffaut's original "critique" because Mayhew's translation "criticize" doesn't quite capture the full meaning of this oft-borrowed French word.) His observation may be no less true today. I'm not the one to ask, as I've not yet seen Gance's Napoléon. Yet. I can still hardly believe that I'll soon be able to do so thanks to the San Francisco Silent Film Festival, which brings the film to Oakland this weekend and next. The festival is amply recording much of the preparation and press for the screenings on the organization's blog. I can't but notice that most articles on the event focus on the audacity of Gance the innovative filmmaker, of Kevin Brownlow the persistent restorationist, and of the festival itself for mounting such an elaborate and ambitious screening. It's the repetition of a pattern that goes back quite a long time; even Truffaut devotes most of his 1955 review to the incredible accounts of its creation, as if there is little or no need to remark on its aesthetic merits. But 'elaborate' and 'ambitious' are no substitutes for 'artistic' or even 'entertaining'. I would not be so excited to see Napoléon for the sake of audacity alone. It's because I strongly suspect I will find it to be an immensely enjoyable film. There are very few films so canonized by cinephlies, filmmakers, and critics, that I have yet to see. For instance, I've seen all but only one other film listed among the top 125 of the website They Shoot Pictures Don't They list of the "1,000 Greatest Films" as determined by a tabulation of lists from a wide swathe of film professionals and influential amateurs. With mentions on more than 75 tabulated lists, Napoléon sits at #108 (just behind King Kong and L'Âge D'or, and just ahead of Hiroshima Mon Amour and The Lady Eve) on the current TSPDT list. One wonders how much higher it might be ranked if it were more widely seen. Just last week, Nick James of the British film magazine Sight & Sound mentioned on twitter that he'd begun soliciting top-ten-of-all-time lists from 900 or more film critics from around the world, for what is probably the most influential ongoing determination of the "great film" canon. 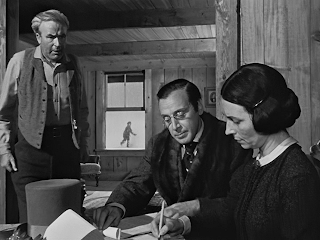 Every ten years, starting in 1952, the publication has collected and aggregated hundreds of lists from international critics (and, since 1992, filmmakers) to create the Sight & Sound Top Ten List. The first time around, Bicycle Thieves was the consensus #1 pick, but starting with the 1962 poll, Citizen Kane has been unassailable in this ranking, followed by L'Avventura, The Rules Of The Game or, most recently in the 2002 poll, Vertigo in the #2 slot. Even with the top slot static for half a century, the shifts in these top ten rankings that do occur are interesting, especially for a budding cinephile. Early in my own movie mania I made a mission of seeing every film ever ranked in the top ten of any of the decade-polls, and was exposed to wonderful films like Brief Encounter, L'Atalante, and Ugetsu Monogatari as a result. But for a more experienced film connoisseur, the real value in the Sight & Sound poll is that the magazine publishes the individual contributors' lists in full. Perusing these personal choices can be a wonderful way to learn about critics and about films one might never have otherwise heard of. To me, any title mentioned by even an unknown critic is worth considering; if someone who has seen and analyzed vast numbers of films considers an otherwise-obscure title to be one of the ten best ever made, it must have something going for it. Napoléon has never cracked a Sight & Sound collective top ten (or even twenty) but it has been mentioned on individual lists from the very beginning. Well, it was mentioned by one critic in the 1952 poll, two years before Kevin Brownlow saw his first couple reels of Gance's epic and began his still-incomplete quest to reconstruct it in its entirety. Belgian critic Frances Bolen ranked it at #5 on his list, after The Cabinet of Dr. Caligari, The Phantom Carriage, The Gold Rush and Nanook Of The North, and ahead of Gustav Machatý's Erotikon, Jean Painlevé's short nature film The Sea Horse, Battleship Potemkin, Citizen Kane and finally Claude Autant-Lara's Devil In The Flesh which, like the Gance, I have not yet seen. Not much information on Bolen is found on the English-language internet, but his French wikipedia page indicates he was born in 1908. This makes him old enough to have been able to form a critical opinion on Napoléon even if he had seen it upon its original release. Brownlow's book on the film lists 15 different versions of Napoléon of various length, shown between 1927 and 1935; some silent and some with a Gance-added soundtrack, some with the triple-projection finale and some without. One wonders which version(s) Bolen might have seen. The versions of Napoléon available to see in the 1960s and early 1970s were by all accounts compromised, so perhaps it's no slight that no critics contributing to the 1962 & 1972 Sight & Sound polls chose to include the film in their top ten lists. By 1982, Brownlow's restoration had played several cities and Francis Ford Coppola's presentation of a somewhat shortened version of that restoration had toured to quite a few more. And Gance's film began appearing on Sight & Sound lists once more. UK-based critics Mari Kuttna and Frances Wyndham included it on their submissions, and American Susan Sontag did as well. Sontag's alphabetical list also included 2 Or 3 Things I Know About Her, Europa 51, High And Low, Hitler: A Film From Germany, Le Mépris (Contempt), The Rules Of The Game, Storm Over Asia, Tokyo Story, and 2001: A Space Odyssey. 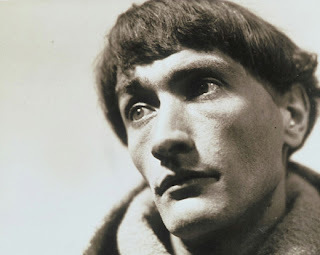 Sontag had in 1973 contributed to the New Yorker an article on playwright & poet Antonin Artaud, who had performed in several of Gance's films including Napoléon, where he played Marat. He is also well-known to cinephiles for his turn in The Passion of Joan Of Arc, which screened at Oakland's Paramount in 2010 and will return to the East bay on March 31st. Silent film diehards may want to pick another day to see Napoléon if they want to be able to compare his two best-known screen appearances back-to-back. By 1992 the "Coppola cut" of Napoléon was available on VHS and LaserDisc. The only critic choosing it this time around was Belgrade's Goran Gocić, but this was also the year that Sight & Sound began soliciting lists from film directors for a parallel poll. Raoul Coutard, known as the cinematographer for many of both Truffaut's and Jean_luc Godard's most successful films (including Jules And Jim and Breathless) but also a director in his own right, placed Napoléon second behind The Passion of Joan of Arc, ahead of Blow-Up, The Birth Of A Nation, A Trip To The Moon, Fellini's Intervista, Jules And Jim, something called A Lost Valley (perhaps James Clavell's The Last Valley?) and Out Of Africa. Quite an eclectic list, including films from an 83-year time span, and even one the listmaker himself worked on! In 2002 Napoléon had its strongest showing on the Sight And Sound poll thus far. The results of the first world-wide-web-era poll are archived online, so I won't bother to mention all the other selections of any of the seven respondents who cited Napoléon ten years ago; they're just a click away. But I will give more detail on the citers. Of the critics, Belgian Patrick Duynslaegher was recently made director of the Ghent Film Festival. Ramallah-born Ibrahim Fawal was involved in filming Lawrence Of Arabia (also on his list) and more recently authored a book on Egyptian director Youssef Chahine. Academic Yomota Inuhiko has a very wide expertise as detailed in this interview; one of his accomplishments is translating the autobiography of silent star Louise Brooks into Japanese. And British David Robinson is well-known as biographer of Charlie Chaplin and all-around silent cinema expert. All three of the directors who included Napoléon on their 2002 Sight & Sound ballots are also British. Lewis Gilbert made three films in the James Bond series in the 1960s and 70s, as well as the original Alfie and Educating Rita. Ronald Neame began his career as a writer, producer and cinematographer for David Lean and others, and then directed 1972's The Poseidon Adventure and two dozen other features, including 3 Criterion titles. But the best-known of the three is surely Terry Jones of Monty Python's Flying Circus, who co-directed Monty Python and the Holy Grail with Terry Gilliam, and helmed Life of Brian and The Meaning Of Life more or less on his own. I wonder if he managed to view Napoléon before making these spoofs on historical epics (and other things), or after completing them. The silent film resonances in this year's Oscar nominees and winners The Artist and Hugo have been much-commented on by folks more impassioned and eloquent than I. I'm just glad I could get away with dressing as Georges Méliès at a friend's Oscar party this year. It's been a season of Méliès for me, as I finished up an essay on the indispensable French film pioneer, now up at the Fandor Keyframe blog in two parts. Local film screening venues have been capitalizing on the silent film/Oscar resonances all Winter, and the reverberations continue throughout March and into the coming months as well. The Niles Essanay Silent Film Museum includes Méliès films in three of its five Saturday night screening programs this month, including a hand-colored print of his Palace of the Arabian Nights March 31st. The Balboa Theatre also grabs a hold of Hugo this Sunday when it celebrates its 86th birthday. The tradition of showing a silent film during their annual bash continues, this year with a 35mm print of Harold Lloyd in Safety Last, the film from which comes the iconic image of a bespectacled wall-crawler hanging off a giant department store clock. Hugo presents this image prominently as well, when its main characters attend a film screening (although in the original book they attend the Rene Clair film Le Million.) Past Balboa birthday parties (I've attended three over the years) have been some of the best value-for-ticket-dollar experiences I've had on Frisco Bay. Not only is there a feature film with live musical accompaniment, but also other live entertainment, cake, door prizes and the opportunity for trivia prizes as well. Last year I made quite a haul, and would've even if I hadn't known my Charlie Chaplin trivia. And then there's The Artist, the first French film ever to win the top Oscar. 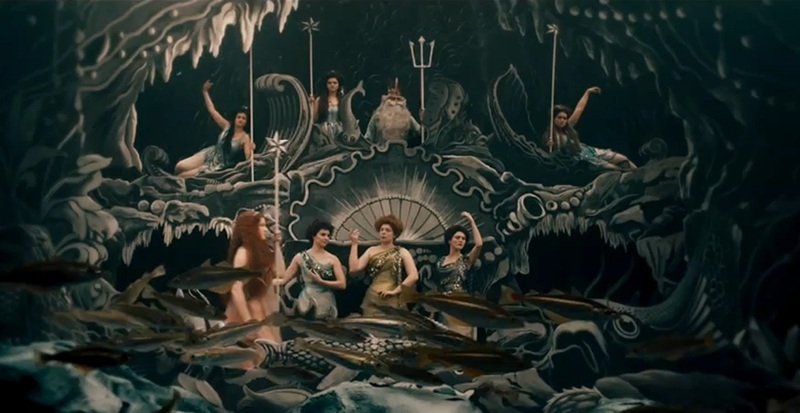 If you don't count its two scenes containing words and/or sound effects, it's also the first silent film to do so since the first Academy Awards in 1929, when Wings won an award called "Production of Most Outstanding Picture", which in most history books has been revised as "Best Picture" for consistency's sake. The Stanford Theatre showed William Wellman's Wings last Friday as part of a nearly-weekly series of silent films featuring Dennis James as organ accompanist; the series continues this week with Ernst Lubitsch's The Marriage Circle (a huge influence on Yasujiro Ozu and other filmmakers) this Friday, then goes on a little hiatus (during which James performs for F.W. Murnau's Faust with Mark Goldstein at the California Theatre for Cinequest) before resuming in late March and April. According to a mailer sent out by the San Francisco Silent Film Festival, a screening of Wings will open its annual festival at the Castro Theatre on July 12th with the Mont Alto Motion Picture Orchestra providing music and soundman Ben Burtt proving audio effects live, in the spirit of the sound effects used during gala presentations of Wings in its day; the other Academy Award the film won in 1929 was for these effects as well as for the visual effects used to recreate World War I-era aerial action on screen. 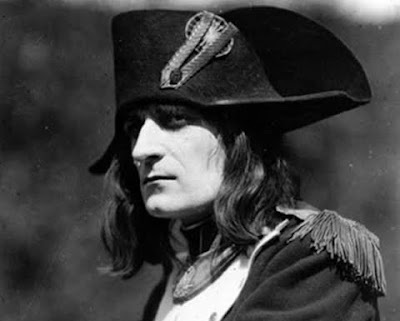 But I would be remiss to look ahead to the SFSFF's July festival without pointing out that there are still tickets available for their once-in-a-generation screenings of Kevin Brownlow's reconstruction of Abel Gance's Napoléon at the palatial Paramount Theatre in Oakland. The festival's website has all the information you might need about this presentation, including an indispensable set of Frequently Asked Questions; the answers are an extremely compelling argument that anyone who loves film should attend at least one of these screenings. Which one? If you're the sort of hedging cinephile who waits to see what's happening at all the local film venues before committing to any one ticket, wait no more; pretty much everything has been announced. Check the Film On Film Foundation calendar for that week and see if there's not a day of the four (Mar, 24, 25, 31 & April 1) that you can make seeing Napoléon your priority. I don't want to hear any of my readers complaining a year or a decade from now that you didn't realize how unique and overpowering these screenings are likely to be, and therefore missed out. 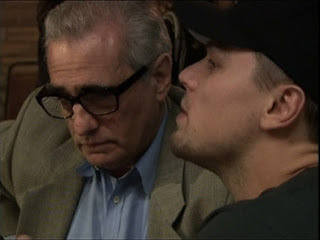 Even Hugo director Martin Scorsese is stumping for Napoléon. In a brief article written on the film for the latest issue of Vanity Fair he says the 1927 epic is "unlike anything made before or since. Gance ushered in every technical innovation imaginable." I don't know if Scorsese will be taking his own article's advice and coming to Oakland for Napoléon. For those who want to see more of the famous preservationist and filmmaker, a Jonas Mekas-made documentary An American Film Director at Work: Martin Scorsese closes an 8-program series of documentaries about great film directors at Yerba Buena Center For the Arts; Jean-Luc Godard, Robert Bresson, Chantal Akerman, John Cassavetes and Hou Hsiao-Hsien are among the other directors spotlighted. March and April provide a typically diverse and intriguing slate for YBCA, with the great directors joined by SF Cinematheque programs, architecture films and 2012 Human Rights Watch Film Festival screenings. My friend Adam Hartzell, who has frequently written on documentaries on this site and elsewhere, is here to write about Salaam Dunk, which opens the latter festival tonight, and its resonances with other similarly-themed sports documentaries. It is not rare for us to see successive films that deal with similar topics grace our local screens. Be it the possible corporate subterfuge that resulted in the animated films Antz and A Bug's Life being released in the same year or the cultural zeitgeist forming a critical mass of choreographed documentaries about dance like Pina, Joffrey: Mavericks of Dance, and Space in Back of You into Bay Area movie houses this quarter, let alone the So You Think You Can Dance? and Dancing with The Stars TV empires, it's not unusual to find several films in dancing time with the same spirit. But it is a little unusual to have two films come to San Francisco festivals with related themes that have chosen similar titles - Salaam Rugby (Framaz Beheshti, 2010, New Zealand) which came to the San Francisco Iranian Film Festival last year and Salaam Dunk (David Fine, 2011, USA) which comes to Yerba Buena Center for the Arts on March 1st as part of the Human Rights Film Festival. Although "Salaam" is the word for "Peace" in Arabic, it also means 'greeting'. These films work off both those bits of salaam-ness. Sports are often a place for us to find peace from the everyday world thanks to the fully immersive Csíkszentmihályian flow that such pursuits involve. Both films also investigate the introduction of a women's sport to these primarily Muslim countries, Iran and Iraq respectively. Furthermore, 'Salaam' can be purposely bent in its pronunciation to sound like an accentuated phonetic variation on the word 'slam', as if both syllables are dipthong-ed - Saaaaa-laaaaaam!. This phonetic play works for both titles since rugby players slam into each other and b-ballers, well, slam dunk. Outside of salaam, both films highlight the positive benefits sports can bring - fitness, teamwork, regimented schedules, and a forum to display individual excellence. Although Salaam Dunk does touch on gender issues, such as why the women wouldn't follow the American coach as he went to jog in the public square, an act of impropriety for women in Iraq, this is a minor focus. The film spends more time addressing the political specifics of sectarian conflict in Iraq that this team of young women have been able to transcend along with the perseverance of each of the players striving to do their best on the court and off. 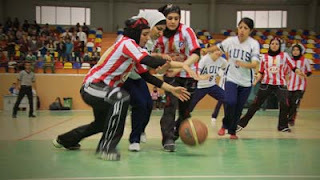 These young women initiated the creation of a women's basketball team at The American University of Iraq in Sulaimani. (You will hear many of these women refer to the city as 'Suli'.) Based in northern Iraq, the women are shielded from the violence that occurs mostly in Baghdad. These women are Christian and Muslim, Kurds and Iraqis, the latter groups with tense histories of conflict. (Salaam Dunk doesn't shy away from the complicated context of the U.S interventions in Iraq either, such as how the young women from Baghdad won't mention to people back home that they attend AUIS because of its association with America.) One of the unique aspects of Salaam Dunk is how Fine includes the team's manager Safa in his focus of athletes. Safa doesn't play the game, but she helps coordinate the facilities and equipment required for practices and is a 'mom' to many of the players. As a result, she, an Iraqi Arab, has found herself befriending Iraqi Kurds whom she would have never come in contact with before, (AUIS is in the Kurdish region of northern Iraq), offering hope that Iraq will have future leaders to cool the long history of sectarian tensions. Returning to the similarities that connect these films beyond the titles, they demonstrate the importance of sports in women's lives. Like No Look Pass (which screened at IndieFest in February and will screen at Cinequest this weekend and the San Francisco International Asian American Film Festival later in March), it is clear how much sport has provided for these young women in helping define who they are. (In Salaam Dunk, the impact these women have on their American coach is quite endearing.) Yet these sports also need these women if they are to continue to be relevant. Case in point, that unique Australian contribution to the sporting world, Australian Rules Football (AFL). Although AFL is the leading sport of Australia, it does not have the prominent presence in the state of New South Wales where Australia's biggest city, Sydney, resides. In Melbourne, if someone mentions they were 'watching the footy', they mean AFL. In Sydney, they mean NRL (National Rugby League). Although there is an AFL team in Sydney (the Sydney Swans), the AFL brass knew they had to make further inroads in Sydney to maintain their national dominance. So they've crossed the Sydney harbor to the Western suburbs and a new team, the Greater Western Sydney Giants, has been added to the line-up for this year's season, which begins in March. And part of their promotional efforts to encourage some footy faithful to cross this bridge of football codes has been developing a women's Aussie Rules team in the western suburb of Auburn. And that women's Aussie Rules team is made up of Muslim women who have headscarves for headgear. The western suburbs of Sydney are partly known for significant Muslim communities. So to wedge away the footy allegiance many Muslim 'Westies' have towards the Canterbury Bankstown Bulldogs of the NRL, the AFL is utilizing community ambassadors and trading in on the AFL's unique status as the football code with the greatest number of women members - close to 50%, compared to below 40% for the NRL. As an Australia-only sport, the AFL is perhaps more anxious about its viability than a rugby code that has many other countries playing its version of football. So the AFL's calculation that it needs women to maintain viability is an interesting extension on what Salaam Rugby and Salaam Dunk reveal - women need sport as much as sport needs women. Although Nasva Bahfren's radio documentary on this effort by the AFL for the Australian Broadcasting Corporation is excellent and needs no remake, if someone makes a film documentary about the Auburn Tigers women, I bet they'll call it Salaam Footy.